My girlfriend S—- does not care for surprises. As for me, I love them – especially when I know they’re coming! As Yogi Berra as that may sound, it’s true. One of my favorite things to do is to buy something online, and then have it shipped to me, because who doesn’t love getting packages in the mail? I’m a sucker for that kind of fun. Opening the door to the mailbox (or the house) and seeing a box or brown paper parcel with my name on is one of the best feelings in life. It’s like a blue-collar Christmas, any old day of the week, delivered right to your door, and you didn’t have to remember to buy anyone else a damn thing. Beautiful. It’s a little known fact, even among absinthe enthusiasts, that not all antique absinthe spoons were manufactured during the era considered to be pre-ban (i.e., prior to the French ban of absinthe in 1915). 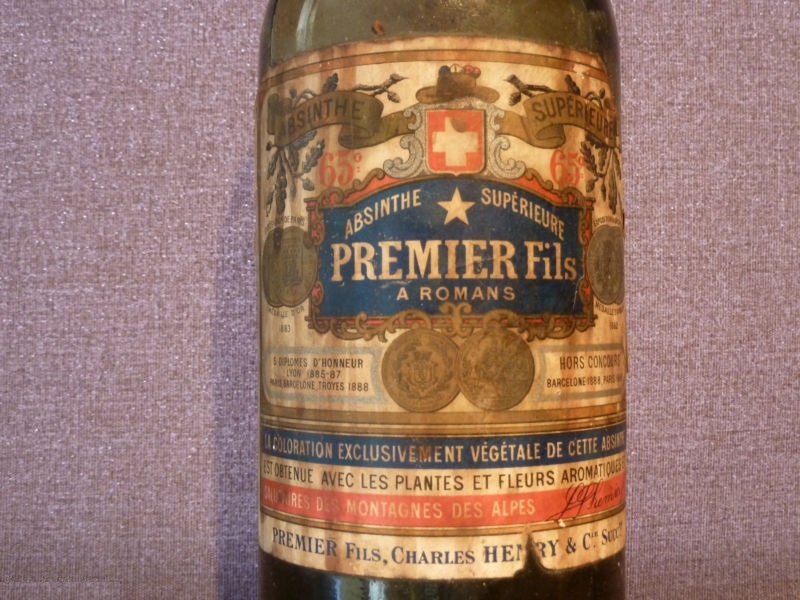 There were some countries in which absinthe was never banned at all (such as Spain and Britain), and in which folks who enjoyed drinking absinthe in the very early 20th century continued to do so into the 1920s, the 1930s, and beyond. 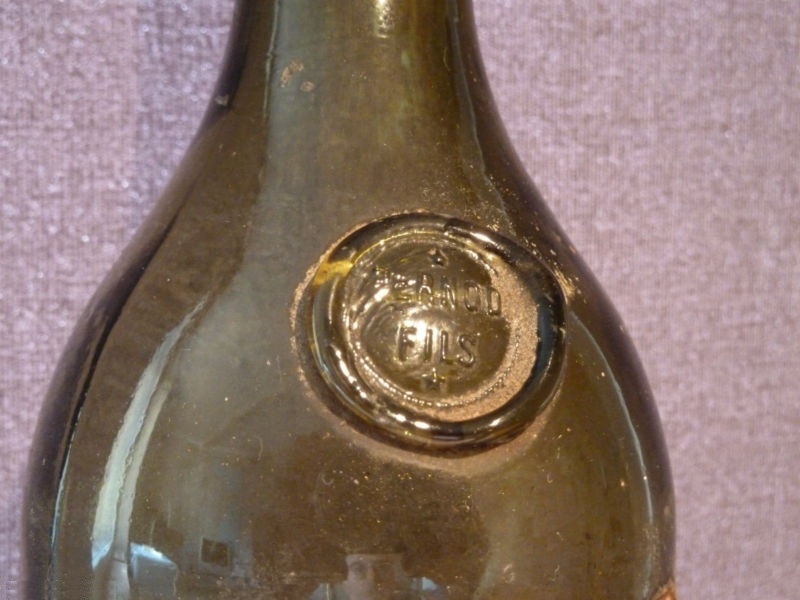 In fact, it was during this time period in which one of absinthe’s most famous latter-day admirers, Ernest Hemingway, first came to know of and partake of the liquor. 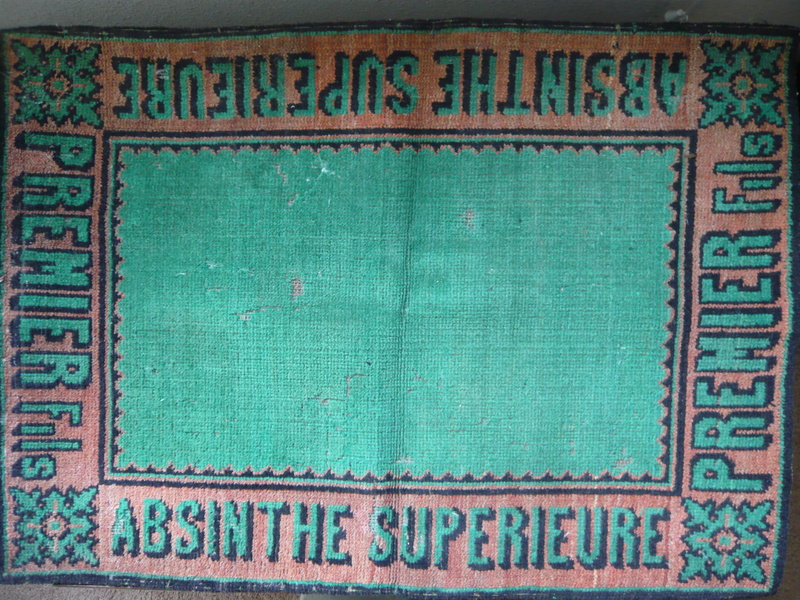 As such, absinthe accessories and paraphernalia continued to be manufactured in these countries outside of absinthe’s old stomping grounds long after it had ceased to be all the rage. 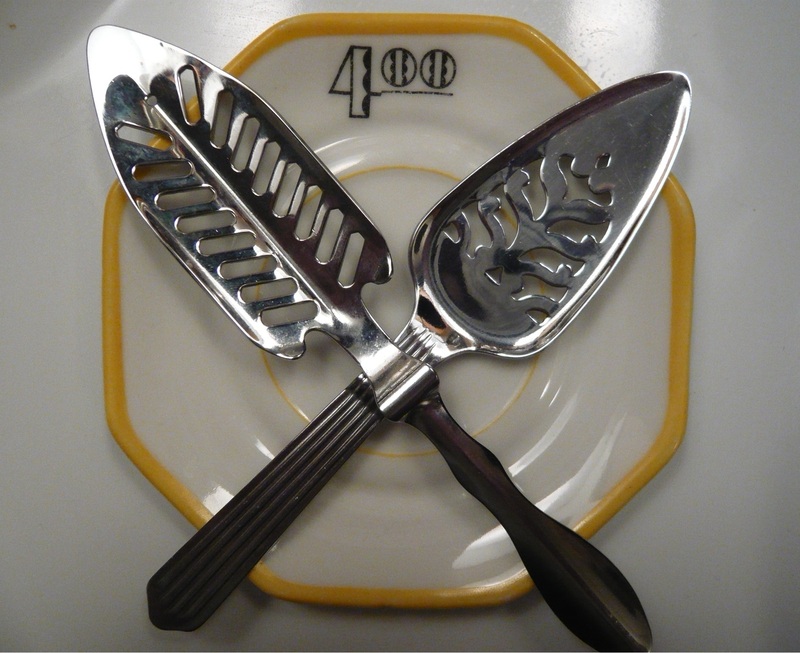 Some of these latter-period accessories, such as the Art Deco-inspired spoons and saucers of the 1920s and 1930s, reflect the continued enjoyment of absinthe (or absinthe-inspired substitues, such as pastis). 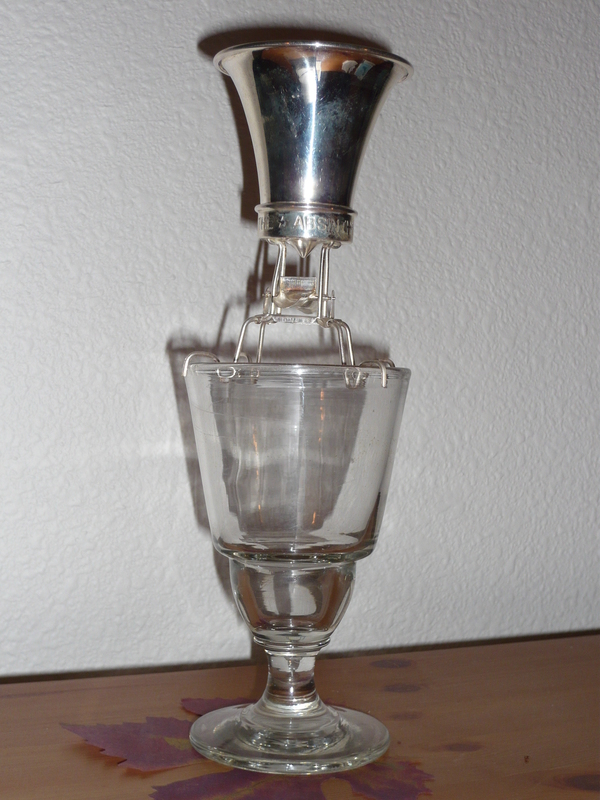 Both the Epis and the Ouvragée spoons are examples of the tail-end of the romantic and wistful fin de siècle absinthe culture rushing headlong into the new modern industrial age of the early 20th century. Below, I’ve included a picture of both spoons, along with one of my 1920s-1930s era octagonal saucers. As was the custom for cafes in the late 19th and early 20th centuries, the numbers painted onto saucers denoted the price of each drink (in this case, a conservative four francs), so that calculating a patron’s tab for the evening was as easy as adding up the numbers on the stack of saucers.